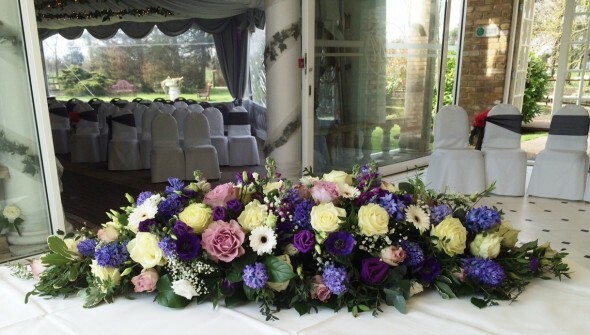 Set within four acres of beautifully landscaped grounds, this classic Georgian Manor was a perfect venue for our happy bride and groom. 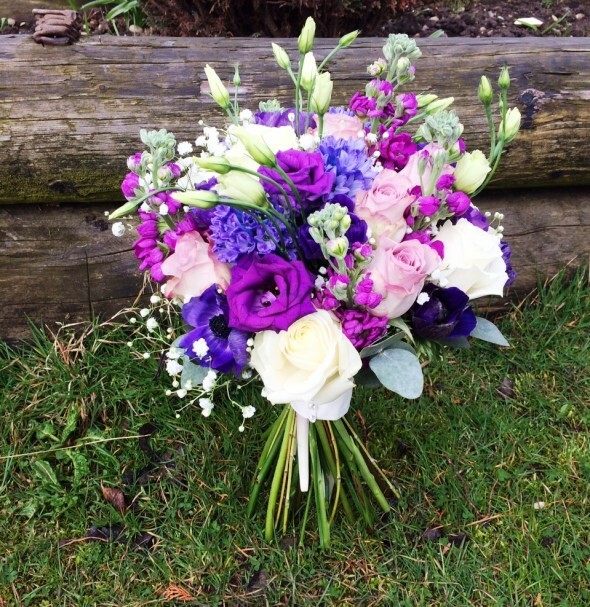 April has been such a popular month to get married in over the last few years as the first signs of summer loom. 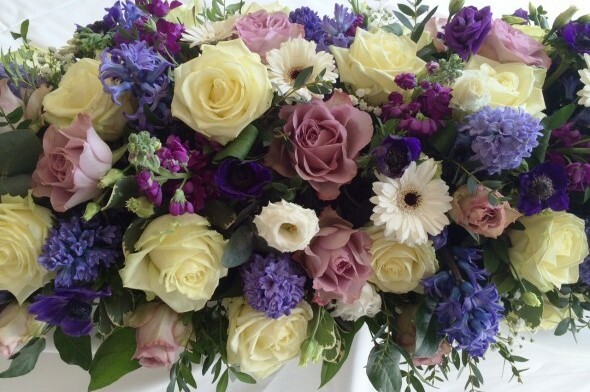 The flowers chosen to decorate this event were a stunning mix of dusky purple memory lane roses, cream avalanche roses, dark purple eustoma, white gypsophila, purple anemone, dark purple hyacinths and dark purple stock. 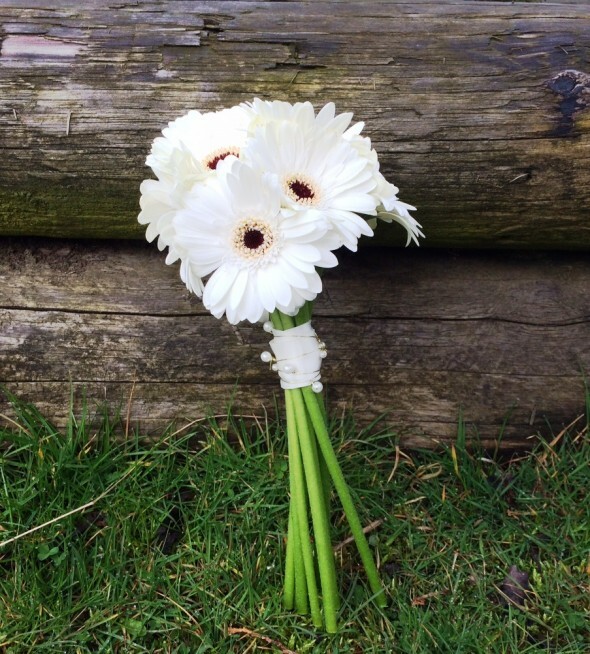 The bridesmaids had hand tied posys of just white Gemini’s, bound with cream satin ribbon and secured with diamante pins. 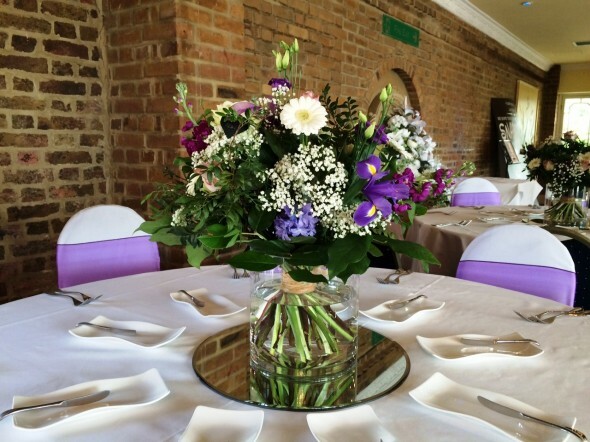 A beautiful luscious traditional front facing top table arrangement was made with flowers to compliment bridal flowers and loose hand tied flower arrangements consisting of cream and Cadbury purple flowers were placed in our clear cylinder vases for centre pieces.